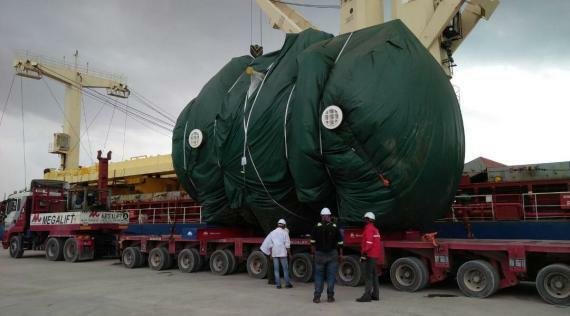 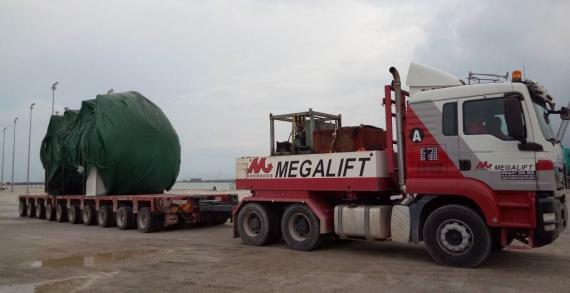 Megalift in Malaysia are well known in the project cargo and heavy lift market and were established in 1980. 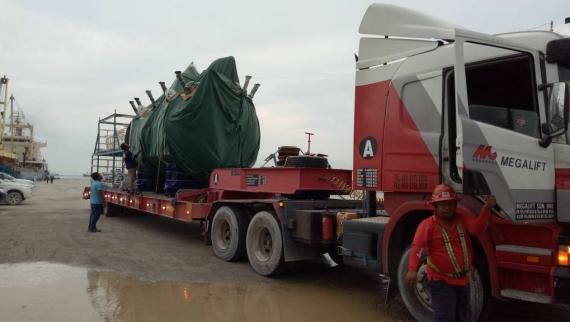 They are currently working on an ongoing project for a new isononanol (INA) plant being set up in Pengerang Integrated Complex (PIC) in the Southern Malaysian state of Johor. 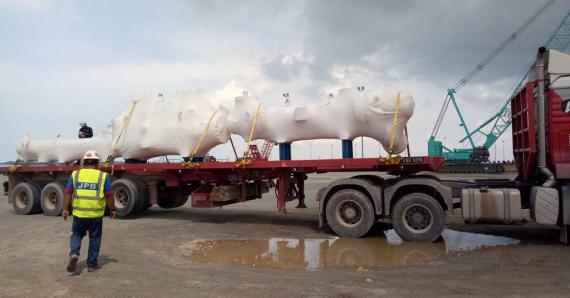 INA is an oxo-alcohol, mainly used to produce a plasticiser to increase plasticity and flexibility in PVC and the plant is expected to begin work by the second half of 2019. 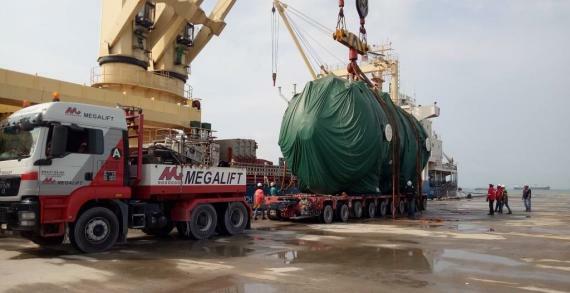 Megalift has been entrusted as its official logistics partner handling all imports and transportation of cargo to the site. 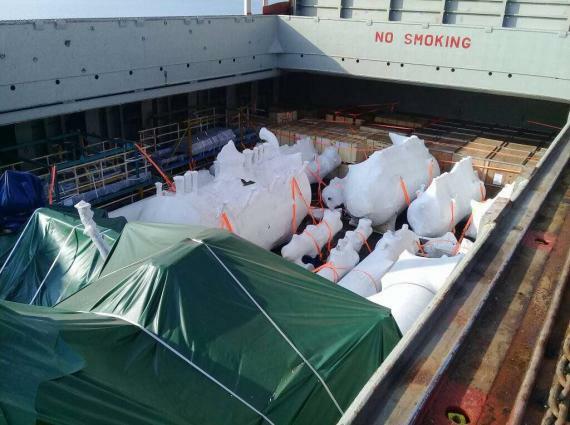 During the first shipment last month, there were a total of 47 cargo pieces, 2 of which were OOG. 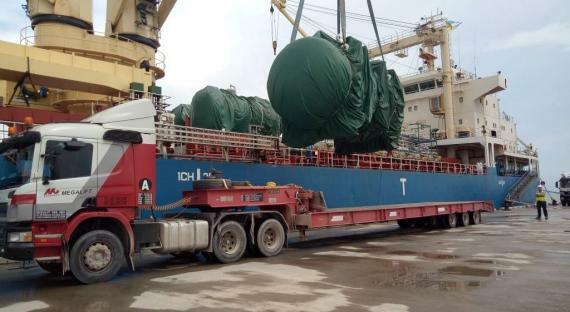 Both are photographed in the gallery below with the 1st unit measuring 9.70 x 4.90 x 6.40m and weighing 44.15tn and the 2nd measuring 11.60 x 5.80 x 6.40m and weighing 67tns.